Our NYAA Journey: 15th B.O.A.T. Graduation Night. this BOAT journey has been an enriching and fun-filled one for me. i will never forget the friends i made here, and will cherish the memories and time spent with them for life. on graduation night, we had many touching testimonials from our "Best BOATer"s awards, and shared many personal moment. we laughed together, cried together, wolf-whisteled together, and put on serious faces together. 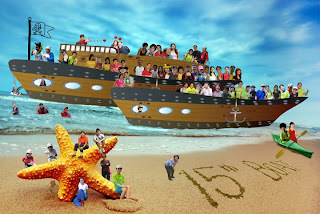 this is the 15th BOAT memento we spent days working on. the boats symbolise our journey, heading in the same direction together. some of us may have gotten lost, gone astray, or left altogether, but we aspire to learn from each other, share precious moments, and just be there for each other as one BOAT family. we had a ball of a time, and no words can describe how grateful i am for having the priviledge of participating in 15th BOAT. campwash 3, graduation night discussion. 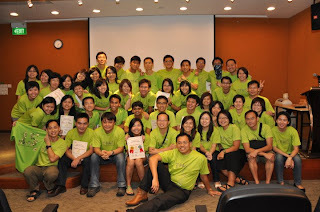 4N3D Overseas Expedition/Camp 3. 2/6/11 - 6/6/11.